Reaching the due diligence stage in your search is an opportunity for celebration; you have found a willing seller, negotiated acceptable terms, signed an LOI and are “driving to close.” Yet, even amidst some optimism and relief, you should not yet fall in love with your deal. Be realistic, successful search transactions average 5.2 months under LOI; it can be a slog. Every single day you have to push the pace along; no one else will. It is during this search phase that transactions frequently fall apart: sellers decide not to sell, events in the business or with the seller halt the process, you fail to raise sufficient capital, legal terms become roadblocks or you just decide this business is not for you. Most searchers spend about 60% of their total search time in this phase and go through an average of 3.2 LOI’s and as many as 9 LOI/due diligence efforts, so be prepared for failure. There is a high probability that the deal is going to fail, make sure it fails fast! See this Blog post for a better understanding of the process Getting to Closing. A brief summary of the transaction will be enough to shop the financing to banks, intermediaries and mezzanine lenders. While your investors may be able to support the full investment, you may be able finance as much as 50-75% of the transaction with loans, including the seller note. Debt covenants bring a level of “external” pressure that keep you focused during the early stages of operation the business. As you speak with lenders, you will learn the metrics they use that vary by lender, by industry, and by deal size. Be prepared for rejection. As in your search process, securing debt financing is partially a numbers game. Two searchers in London contacted over 50 institutions over three weeks to secure three solid commitment letters; in the USA another searcher reached out to 125!. You should approach both local/regional and national banks – your interns can help you make those connections before you step in and speak with loan officers directly. Many self-funded searchers can source SBA loans through intermediaries or directly through the SBA PLP (Preferred Lender Program) banks. In early deals, you may discover that the terms in the original LIOI must be re-negotiated due to bank-specific requirements. SBA lenders, for example, require a payment holiday of 24 months, which requires the seller’s note to be modified accordingly. What you learn from early due diligence efforts will help frame any future negotiations with sellers on deal structure and terms. Due diligence provides an opportunity to test the appetite of your equity investors by soliciting soft commitments. A written overview of the business, complete with deal structure and terms, can serve as a starting point for the conversation. Investors will often suggest contacts and intermediaries who may help in the process. While many may have implied that they were willing to support you with equity funds, having a concrete transaction in hand and a suggested amount of their contribution helps pinpoint their commitment level to help you gauge shortfall or over-subscription levels with your them. Your investors and banks will also want you to develop a more formal CIM (Confidential Information Memorandum) that will include an analysis of the business, growth strategy, projected cash flow, debt repayment schedules, and projected outcomes for the investors. Some investors may focus on growth opportunity, others on risk and still others on payout levels. Be sure both the CIM and summary do not get into the hands of the seller, who could either be offended or decide to execute on your plans without you. Don’t spend a lot of time on it until you really need it; generally a few weeks before closing. Discussions with the seller during due diligence should be designed to gather information and assess risks, all without scaring off the seller. Every conversation with the seller is an opportunity to build long-term trust, but sharing too many of your fears and concerns will not be helpful. Listening is critical at this stage. A thorough understanding of customers, pricing, and customer/product profitability will be important. You will also begin to flesh out receivable collection history, bad debt exposure, inventory aging, employee wage details and vendor payable practices. These additional data requests may frustrate your seller, who still has a business to run! Before getting started, manage expectations by discussing the iterative nature of the process with the seller and his or her financial advisors. All transactions have elements of risk and uncertainty, but understanding those elements provides insight into how the owner has coped with them in the past and helps you to avoid or mitigate future risks. The business’ fundamental strength and stability will be strong predictors of its performance in the first few years of your ownership as you focus on learning the business and not making significant early changes. Your goal at this stage is to get to closing. Most of the requests for information are at the banks request, or in preparation of the legal documents. Some of the information will be required to prepare you final CIM that satisfies your primary lender and investors. Planing the details for what you will be doing with the business after closing can be deferred and should not slow down the closing process. Help the seller integrate you into the business. Every search is different, and you will need to be flexible to gain the seller’s trust, alleviate concerns, and move to closing. Sellers are often reluctant to expose their true reasons for selling until closing. Nic Anderson and Tristan Hopkins at Elm Grove Partners were prevented from speaking with both customers and employees until just before the closing date. Others, such as Paul Thomson at Scottish American, ran the business before the papers were signed! 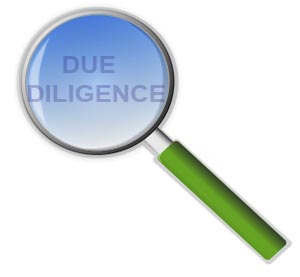 Many sellers are on pins and needles throughout due diligence. They perceive catastrophic risk if employees, family members, shareholders or even some critical customers are informed of the process as it evolves. To avoid this seller paranoia, be you may have to pose as an “investor” when being introduced by the owner or using 3rd party surveys to get the information you need. Keeping the seller focused on running the business is critical at this stage. You may be consulted on significant decisions around customers, investments or even personnel issues that could impact the business after you own it. To avoid seller distraction, minimize interruptions by scheduling two or three weekly conversations with the seller. This goes a long way in assuring the seller that you are engaged, working toward closing and counseling them through a personal transition to former-owner. You don’t want the owner to feel that your lack of communication means something is going wrong in the process. Bring in experts and start spending real money! Once you are confident in your financing and comfortable with the risks, you will have to begin spending serious money on outside help. Lenders and investors will want an independent accounting review. Assets, if any, will need liquidation value appraisals. Technology and IP may need an independent assessment. Ranging from $2,500 for an appraisal to as much as $25,000 for a QofE (Quality of Earnings) report from an accountant. These expenses are not recoverable and generally not deferred and your search process budget should include these potential “busted deal” costs. The results of these detailed investigations are primarily to give your lenders and investors confidence in the representations made by the business owner. Be prepared for some “surprises”, but be cautious of using this as an opportunity to “re-price” the transaction. You should have built a “cushion” into your LOI that recognizes the inevitability of minor adjustments to EBITDA. The trust that you have been building with the seller throughout the long diligence process can easily be shattered if you re-open the terms. While a lawyer will commonly defer charges until a final close, initiating the draft of the Purchase & Sale (P&S) agreement should be started mid-process. Be mindful that your legal advisors are just that. I have seen searchers almost derail a deal when their lawyer dug in over trivial issues. At times it may be necessary to acknowledge your understanding the issues and express your desire to proceed anyway, even against their advice. It is also important to assess the seller’s advisors. Encouraging the seller to find a competent M&A lawyer who understands what is “customary”, rather than their Real Estate attorney, can avoid delays and conflict. Make sure the seller has a competent tax advisor early in the process. First-time sellers are notoriously ignorant of, and fixated on, the tax impact of selling their business. Advisors to the sellers may be counseling them to “pretend this is not going to happen” so they don’t get distracted, which is far better than counseling them to not do the deal! The probability of any one LOI succeeding to close is low, less than 33%. Consequently, continue to devote at least 2 days a week on your search process in the event the transaction goes south. There will be inevitable surprises through the process, and any deal may experience “death by a thousand cuts.” It is imperative that you have alternative opportunities with which to compare. It is also important that the seller know that you have alternatives to keep the process moving forward. While extending two LOI’s at once is not ethical, extending IOIs in parallel is a reasonable way to maintain objectivity as you are engaged in the diligence process. At multiple points during diligence, terms will likely be renegotiated, testing your resolve to proceed and causing the seller to reflect on his or her motivations. When searching with a partner, it is often worthwhile to set up one partner as the “opposition” to take a position against the transaction, improving your objectivity. Avoid the tendency to have both search partners engaged in due diligence on the same deal. This will insure that the value of having two in the search is productive where 1+1=3 rather than 1.5! As with much of the search process, the more diligence you do, the better you get. It is very difficult to develop this expertise in advance. The learnings from your early due diligence efforts will pay off handsomely as you move forward through successive LOI’s to eventually acquire a business of your own. I encourage comments from readers and dialog about the topics which allows others to see the commentary and learn both from my views and the views of others; a virtuous learning cycle. Jump right in! Great blog post, Jim! This part of the process is why it’s critical to have strong interns who can really drive sourcing while the searcher focuses on the diligence effort, especially in the case of a solo searcher. With the right team in place, the Principal can spend 80% of his/her time on the deal at hand and 20% overseeing the sourcing and follow-up activities, and other G&A of the fund. In my experience, s/he who chases two rabbits catches none; to get a great deal across the finish line, one should focus and go all-in for a few weeks once a deal passes business due diligence and has investor support to move forward. You are right about effectively using your interns to allow you to focus on the deal in due diligence and keep your prospecting flow active since there is a 75-80% chance that any one transaction will fall apart. Great post, Jim. One thing I wanted to respond to was your comment that only the searcher will drive a fast pace during diligence. We’ve noted that a good broker/intermediary team can help out a lot as well. Clearly they are equally motivated to get the deal done and can help pick up the pace during diligence in a brokered deal. I am going through DD process and it is very hard to work with the seller to get sales breakdown, cost detail, customer, add back, and sales contract related information that is critical for me to do financial forecast for an SBA loan. I do believe the seller is honest but is his holding pattern is discouraging me from moving forward. I would love to get your input on this. Harry, at this stage, you should be driving toward closing and making estimates based on historical data to prepare your forecast. It may be very difficult to extract the level of detail that you want below the level of reported financials. The reality of buying and SME is the very lack of this level of specificity. A dialog with the seller about their own expectations, given the history of the business is probably the most accurate that you will get. Don’t let DD analysis get in the way of closing a deal; you may never get a deal with all the breakdowns and details that you going to be comfortable with-welcome to search! You may have some success reaching out to his own accountant or legal advisor who can counsel him on the process of getting to closing. Search On! !